Maintenance is necessary, but you shouldn’t have to spend countless hours doing it. 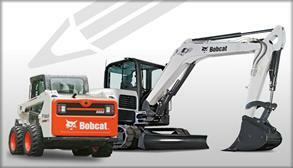 Bobcat® excavators are designed to take the hassle out of routine maintenance and get you back to work sooner. Caterpillar®, John Deere®, and Kubota®, however, might just keep you in the shop’s waiting room longer. Watch the test to see for yourself. Serviceability is all about simplifying maintenance to push productivity to the max and save on labor costs. 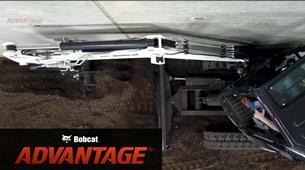 It also helps prolong the life of your equipment by making preventative maintenance easy to complete. Put simply, a machine with the easiest serviceability has less time in the shop and more time getting things done. See how it benefits your operation. 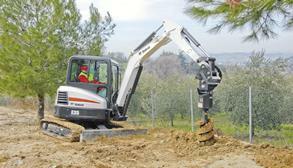 Before you purchase a compact excavator, you should always consider how simple it is to maintain. 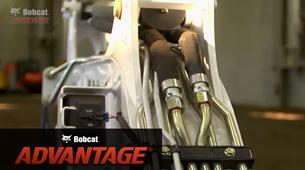 Bobcat compact excavators feature the largest engine access doors and smarter engine layouts, making it easy for technicians to reach key parts for servicing. This is called panoramic serviceability. 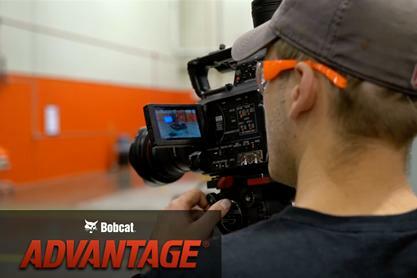 See how they compare to other brands when it comes to reducing maintenance costs and downtime. 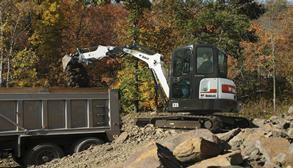 Bobcat compact (mini) excavators have the industry’s largest component service access. With a 592 sq. in. access opening, you’ll have plenty of space to perform maintenance. 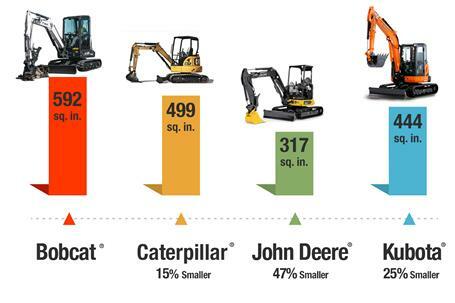 It’s 19 percent larger than Caterpillar, 87 percent larger than John Deere, and 33 percent larger than Kubota. If you consider how difficult it will be to access service components on these other machines, you can only imagine how much time it will take to complete regular maintenance.